This article was written with Edwin A. Kilburn, former Vice President and Associate General Counsel of ITT Corporation. Relatively few things in the pro­fessional life of an inside or outside lawyer are as important or difficult as preparing your client’s senior officers to testify. Although the prepa­ration process is in many respects similar to that for lower level employees, there are important differences which, unless heeded, can have disastrous effects for the preparation process, the ultimate testimony, and thus, both the outcome of the case and the lawyer-client relationship. This article will focus on the things that are either different about, or particularly important to, the preparation of senior corporate officers. As will be seen, nowhere in the litigation process is the role of inside counsel more important, and nowhere is effective communication between inside and outside counsel so indispensable. Working togeth­er, and with a good preparation plan, counsel should be able to prepare senior officers quickly and effi­ciently. The process can and should yield not only significant testimony helpful to your case, but also impor­tant new insights into the litigation that will help you as you proceed with other aspects of the case. There are several factors that combine to make the task of preparing senior executives difficult and stressful, while, at the same time, there is frequently one saving grace offering hope for your salvation. On the darker side of life, even more than the usual witness who wants little to do with litigation, most senior executives operate under brutally tight schedules and have many other demands compet­ing for their time and attention. With the possible exception of the unusual “bet your company case,” preparing to testify in a litigation will usually not be as high a priori­ty for such executives as it is for many other witnesses. Thus, your preparation plan must be based on an acceptance of the fact that you will not have as much time as you think you need, and on a strategy for dealing with that problem. The second obstacle you will frequently need to navigate in preparing senior corporate officers is that these people are used to being in charge and to giving orders; they are not accustomed to taking direction or being under someone else’s control – either yours or, more importantly, your adversary’s, or a court’s. Accordingly, it can be difficult to give these wit­nesses direction or to engage some of them in discussion of the weak­nesses of the case, their testimony, or their vulnerabilities as a witness – all of which must nevertheless be reviewed carefully to avoid the more painful disaster that will occur if these problems surface for the first time when a senior officer testifies. Now for the saving grace: Most senior corporate executives are not only highly intelligent, but also have a level of maturity and experience with respect to how the real world works that enables them to gracefully handle documents and facts, as well as lawyers’ tactics, that would rattle many other witnesses and their lawyers. These witnesses will often have a broader and more pro­found understanding than other witnesses of the corporation’s busi­ness and the decisions at issue in the litigation. Armed with this per­spective, they can often rise above the battle lines that have been drawn by the lawyers in the litigation, and provide explanations to perceived problems that neither the lawyers nor the lower level witness­es have recognized. Thus, counsel should seek to capitalize on these strengths and listen to the witness, who may have new insights for liti­gation themes and/or how to handle the rough and sensitive spots in the case. The bottom line on the task of preparing senior officers to testify is that the task can be difficult because these witnesses are usually critically important to the case, and yet diffi­cult to control and often unwilling to give you the time you would like. From a professional standpoint, the keys to overcoming those limita­tions are (1) structuring and focus­ing the preparation process in order to make the most efficient use of the little time you have; (2) taking advantage of the executive’s special skills and experience in order to avoid spending a lot of time on preparation that may be less impor­tant with such a witness; and (3) looking to inside counsel for guid­ance and assistance. When preparing a senior execu­tive, it is extremely helpful to devel­op a preparation plan that conforms to the way the executive is used to working. The more you can do so, the more likely it will be that the executive will focus on and retain the information, and that the entire process will go smoothly. Similarly, you should formulate the preparation plan with an under­standing of the witness’s personality traits, including, for example, how the executive reacts to advice, criti­cism, disagreement, and bad news, and how the executive tends to behave in large and small groups. Generally, the best way to prepare a senior executive is with one or, at most, two outside lawyers, and one inside lawyer. The inside lawyer can be invaluable, both as part of the preparation process and as a source of information for outside counsel, particularly by providing a profile of the executive before the preparation materials are prepared. The first and most important part of the preparation process is reviewing the case – ensuring that the witness has a solid understand­ing of the litigation. This overarch­ing review is most important in preparing senior officers because, as previously noted, you will probably not have the time to review every document and detail with the wit­ness. Armed with a solid under­standing of the case, senior execu­tives will nevertheless often be truly outstanding witnesses. Without it, however, they can be disastrous, because they will probably speak authoritatively anyway – and their testimony will have great weight. a profile of your adversary’s lawyer and principal witnesses. The second part of the prepara­tion process – and often the most time-consuming – is reviewing key documents with the witness. As a result of the senior officer’s limited time, you must carefully select the documents to be reviewed with the witness, and then make good use of them. To the extent you have simi­lar documents raising the same issues or problems, most senior offi­cers need not see every permutation before testifying. Despite these time constraints, and although some lawyers are reluctant to expose a witness to documents and facts that the witness may not recall, in preparing a senior corporate officer to testify, counsel should review with the witness all of the important documents on which the witness is likely to face significant, legitimate questions; even if the witness did not write or receive the documents. After reviewing the case and the key documents with the witness, the witness must be prepared for cross-examination. While this will be similar to preparing any witness for cross-examination, here counsel can – and should – take advan­tage of the senior officer’s abilities. Most importantly, the ability of most senior corporate officers to think on their feet, and their superior knowl­edge of the business, are vital to their preparation. In addition to discussing poten­tial questions and documents, it is important to give your client a sense of the likely overall lines of attack. By doing so, the witness will be on the alert for, and better able to handle opposing counsel’s individual questions and tactics. Counsel should also conduct a mock cross- examination, an exercise that is often the most delicate but impor­tant facet of preparing your client for the anticipated cross-examina­tion. This type of exercise is espe­cially important for a CEO who is not used to being under someone else’s control and forced to answer questions, or for a witness who has a temper and/or a lot of anger about a dispute. Ideally, this should be a no-holds-barred interrogation which is tougher than the question­ing the witness is likely to face from your adversary. If you are reluctant to conduct an adversarial cross of your own client, it may be useful to bring in another lawyer from the team or from your firm to play the role of the adversary. When preparing the executive, counsel should be aware that senior executives pose certain risks and dan­gers on cross-examination, but that they often also offer great promise. The two greatest risks for most senior corporate officers, particularly when testifying before a jury, are that (1) they will be perceived as arrogant and resented for their power and wealth; and (2) they will use business lexicon and other terminology that jurors will not understand. The witness must be fully sensitized to both risks, and to the fact that skillful opposing counsel will seek to exploit them – especial­ly the arrogance factor. One approach to minimizing the danger is to remind the witness of the simple truth, which many senior executives have mas­tered, that the best way to ensure that they will not be resented is to be extremely, but genuinely polite. Many, but by no means all, well-prepared senior corporate offi­cers have the ability not only to stand-up under cross-examination, but also to inflict serious damage on the opposition’s case. A senior exec­utive’s greatest weapon against the cross is that he or she has far greater knowledge and credibility than the opposing lawyer with respect to his or her own business and the real world of business in general. Moreover, the flaw in many cross-examinations is that they seek to establish, often on the basis of inflammatory language inappropri­ately taken from documents, points which (a) simply don’t make sense in the real world of business and/or (b) bear no relationship to what actually happened in the situation at hand. 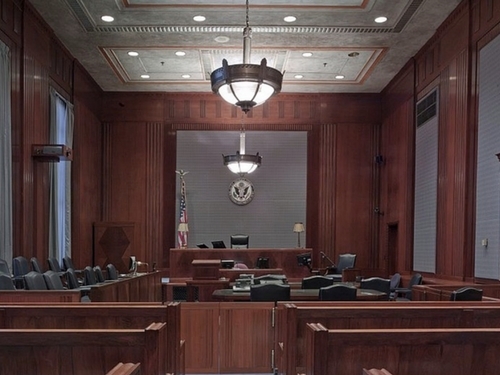 Armed with their superior knowledge of their businesses, good witnesses can use the foregoing two points thematically to undermine the cross and send the correct mes­sage to the jurors that opposing counsel is trying to lead them astray with lawyers’ arguments that don’t make sense in the real world and have nothing to do with the actual case before them. In addition, senior executives may be best able to communicate the complex and sophisticated aspects of the case to the jurors. In the overwhelming majority of cases, counsel can and should impress upon the witness that most jurors will “get it,” and can grasp very sophisticated concepts, if the wit­ness helps them with clear explana­tions using terminology and expla­nations that the jurors can follow, based on their own life experiences. Moreover, most senior corporate officers understand their business thoroughly, and can translate the complex business issues in dispute into easily understood terms. As a result, the senior executive will be more credible than an opposing wit­ness or lawyer with less knowledge. Preparing a senior officer can be difficult and stressful. Nevertheless, once counsel accepts and works within the limitations that frequently go with this turf, and utilizes the strengths of these witnesses, the dividends can be enormous. Most senior officers can provide counsel with important new insights into a case and, if properly prepared, go on to give powerful testimony that can be the difference between win­ning and losing. This article was originally printed in The Metropolitan Corporate Counsel, Volume 3, Number 9, September 1995. ©1995 The Metropolitan Corporate Counsel, Inc. Reproduced with permission. All rights reserved. Subscribe to Richrothman.com and receive future posts. Copyright ©2019 Richard Rothman. All rights reserved. Web Design by Footprint Digital, LLC | Web Hosting by COMMbits Inc.